The Gentleman’s Directory | A Continuous Lean. The internet gives us access to so much graphic misbehavior at a given moment that it’s noteworthy to discover that a small book still has the capacity to shock. 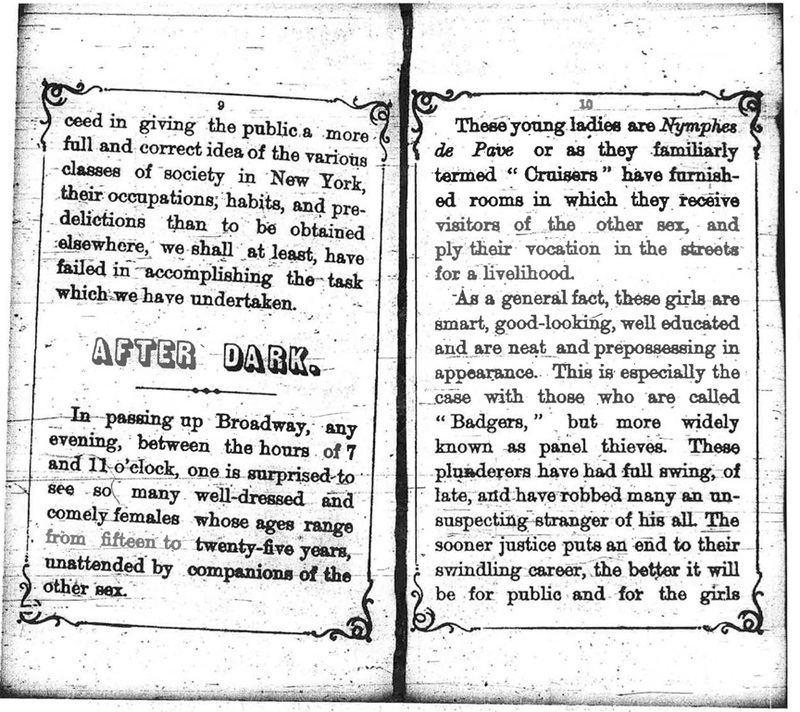 The volume in question, described yesterday in the NY Times, is an 1870 guidebook of the ins and outs of Manhattan’s brothels. The Gentleman’s Directory is an indispensable tome for those who required knowing details about the houses of ill repute in our good borough. It couldn’t be more discreet–yet there’s an implicit appreciation of worldly topics that should be known but not discussed. There’s also a map that allows you to learn if you reside in a former house of ill repute. Unless you live on West 27th, Houston, or a few select blocks of Soho you’re out of luck. And even if you do, most of the buildings have been torn down long ago. That’s an amazing story and this book such an strange and funny little artifact. Thanks for sharing. The advertisement lists the price of their fall “Fifth Avenue” at a reasonable $8. Adjusted for inflation, that $8 is approximately $100 today. I’ve never heard of Knox the hatter before. It’s interesting to find out that at one time, he was the premiere hat manufacturer of the city, ranking up there with such companies as Tiffany & Co. and Lord & Taylor. Knox was located on the South West corner of 40th Street and 5th Ave. The impressive building still stands and is now an HSBC bank. TinTin, was visiting prostitutes illegal for members of the military at the time?